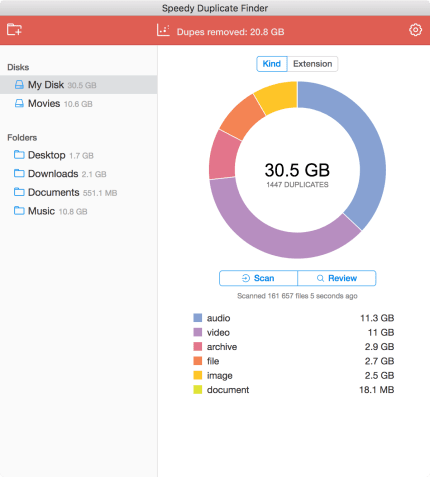 This tiny, flexible, hard-working tool will help you to find the duplicates in a simple click and free up gigabytes of wasted disk space. 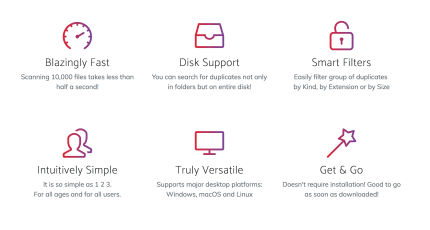 The software is extremely fast so you can search for duplicates not only in folders but on entire disk! With smart filters you can easily take care of a group of duplicates by Kind, by Extension or by Size. 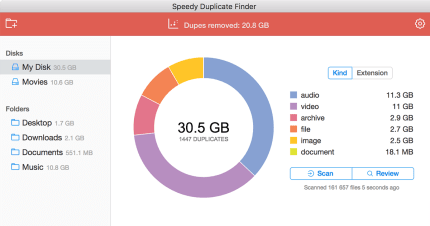 Speedy Duplicate Finder is full of delightful features. And is good to go as soon as downloaded, because doesn't require installation!